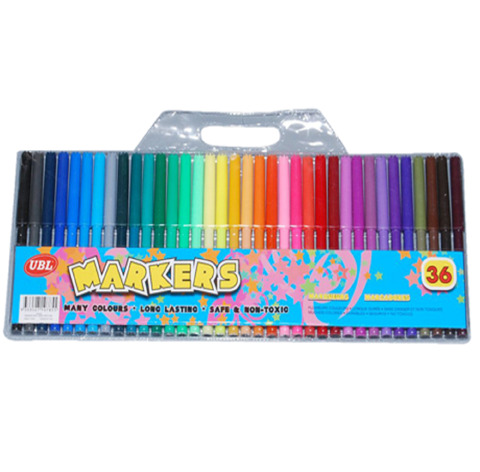 Coloured Markers 36Pk. 13.5 x 0.9cm 0.8cm Barrel. 36 Assorted Colours. PP l Ink. 5G Packaging: PVC Reinforced Pouch.